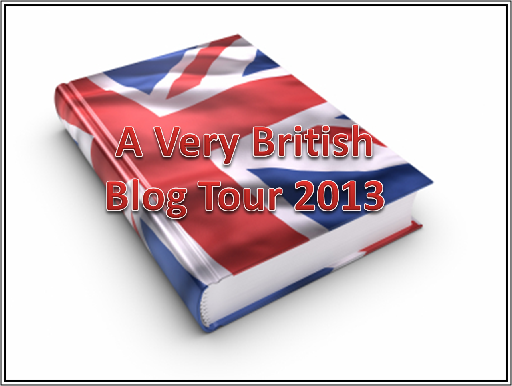 I’ve been invited by the Very Talented British writer Terry Tyler to take part in ‘A Very British Blog tour’ – visiting, supporting and championing the work and websites of other British authors. Each author has been asked exactly the same questions but the answers will obviously all be different! A. I was born in Wolverton – a little Victorian railway town in north Buckinghamshire, until Milton Keynes came and sat on top of it. I started teaching in Leicester in the 1970’s and have lived her ever since. A. Like both Terry and Clive, I find it hard to pick just one. I love the gentle landscape of the rural English shires and wilder bits of Derbyshire, Yorkshire, too. Then there’s Durham, the north-east, Scottish Highlands. Impossible to choose. A. I haven’t highlighted specific places, (although I’m tempted to feature the river Piddle in my second book.) A Twenties Girl’s Guide, is set in middle England in the 1920’s – all millstreams, market squares and splendid chaps playing cricket on the green. Q. There is an illusion – or myth if you wish –about British people that I would like you to discuss. Many see the ‘Brits’ as ‘stiff upper lip’. Is that correct? A. The main characters in An Englishwoman’s Guide to the Cowboy are definitely ‘stiff upper lip’. They’re from mannered Victorian society, with all its rules and regulations – mustn’t take off your hat, mustn’t take off your gloves, mustn’t get hot or perspire! A. An Englishwoman’s Guide to the Cowboy is the story of Victorian bluestocking, Annie Haddon and her journey across the American West, after the Civil War. Leaving one society that’s all buttoned-up reticence, she encounters another – crude, loud, boom and bust. I was interested in the effect the landscape would have on that sort of person. England, all dark rooms, neat fields, low skies; the West, wide open land stretching to the horizon – no fences or hedges – just that great bowl of blue sky. A. A Twenties Girl’s Guide to Making a Match (working title) – set in the English shires after the Great War – all crumbling country houses and no men. When her jazzing flapper of an aunt – one of the Bright Young Things –dies, Gerardina Mary Arden inherits a wardrobe of love-affair clothes, a psychic cat and an unexpected legacy. Part of the inspiration for this was Virginia Nicholson’s book Singled Out about that generation of women left with little hope of love or marriage. I hope to have completed it by August/September. A. When I’ve tried and failed to keep up with all the things writers are supposed to do now, and factored in family and friends – films and TV, theatre, music,(especially jazz), walking (hills and dales). A. Hopefully, a global audience. I’d like my books to appeal to as wide an audience as possible. A. Just click on one of the Amazon links below. A Very British Blog was originally hosted by Clive Eaton. Such an interesting glimpse into the influences on and writings of a British author. From an author living in what’s left of that wide open West. Thank you, Annie, for such a fantastically relevant first comment! Thanks, too, for bearing with me re the website. I enjoyed reading this blog because it was well set out and succinct. I’ve really enjoyed An Englishwoman’s Guide to the Cowboy and write a great review. Shame that Amazon deleted it along with my reviews of other writers’ books. What I love about AWG2TC are your descriptions of the place, I was ion that stagecoach bowling along . . . I’m looking forward to reading your novel set in the twenties, too. I personally think that the stiff upper lip is over rated but equally I hate all the mawkish (and unnecessary) crying one sees on TV these days. Off to read Terry’s blog, now. is exciting. Well done june! This is great! I’m also a big fan of Terry Tyler’s writing!